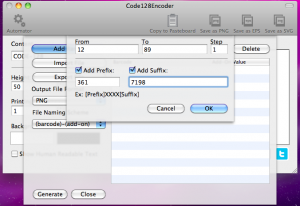 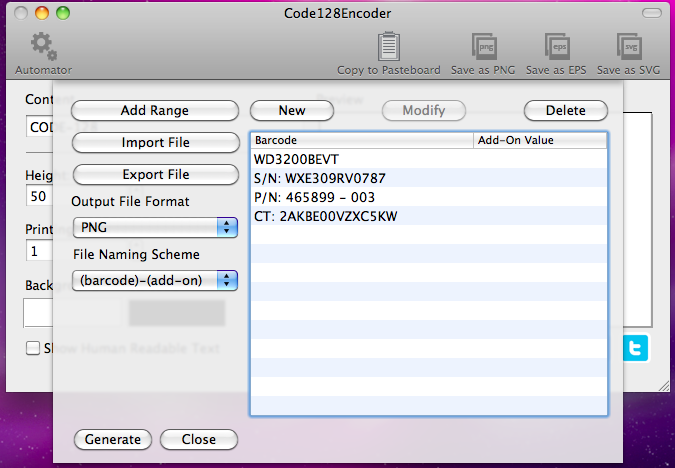 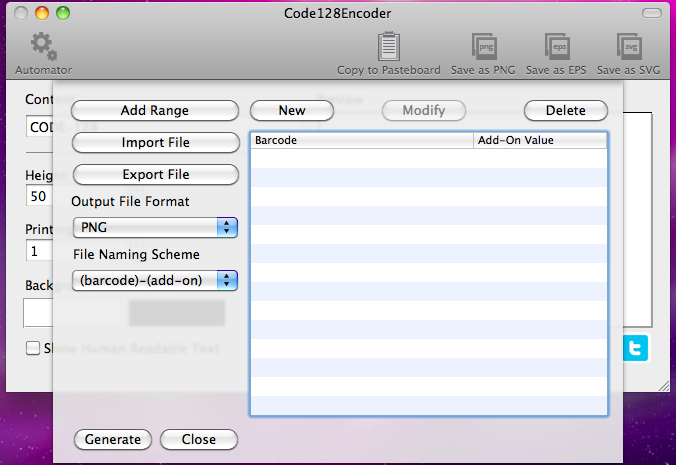 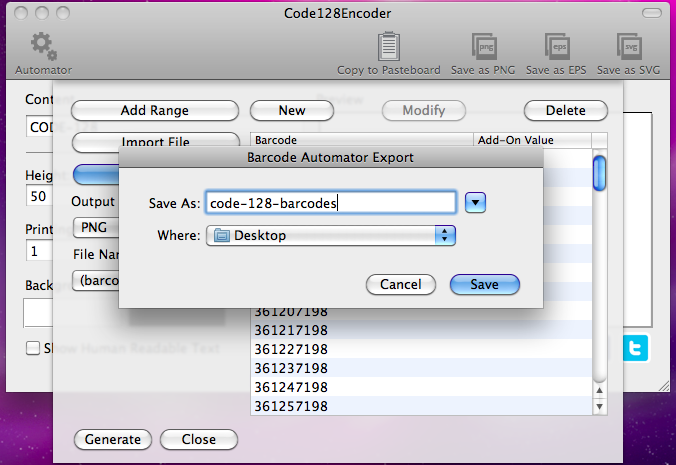 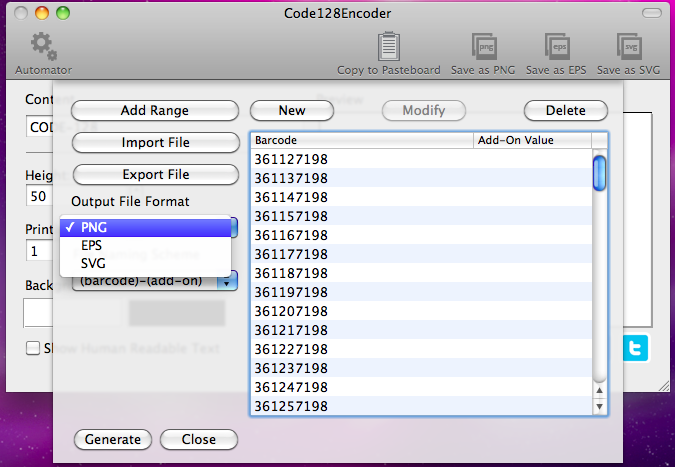 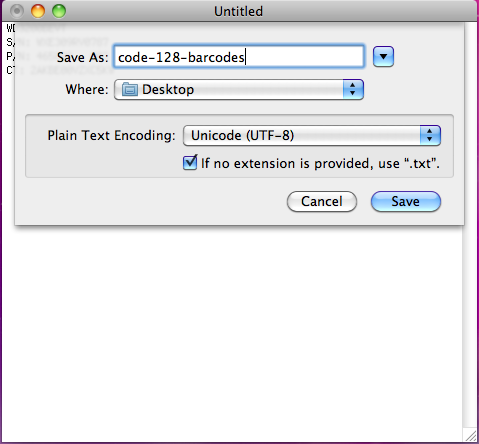 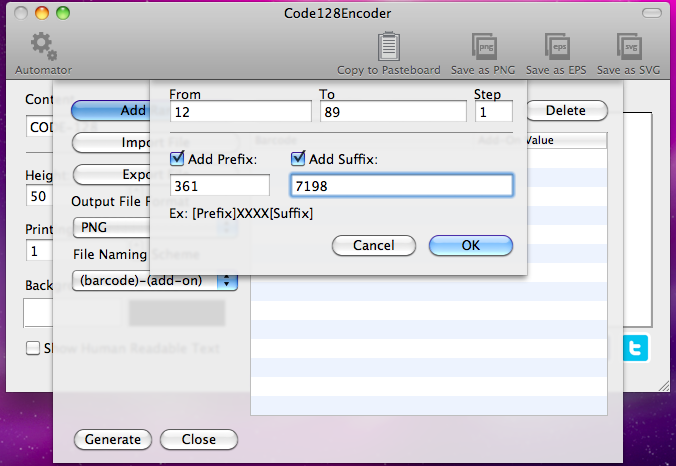 Code128Encoder is Code 128 barcode producer. It is a desktop application which offers its users excellent functionality and easy-to-handle interface. If you now think that the barcode making process is sophisticated wait to put your hands on the Code128Encoder. You will be surprised at how simple it actually is. 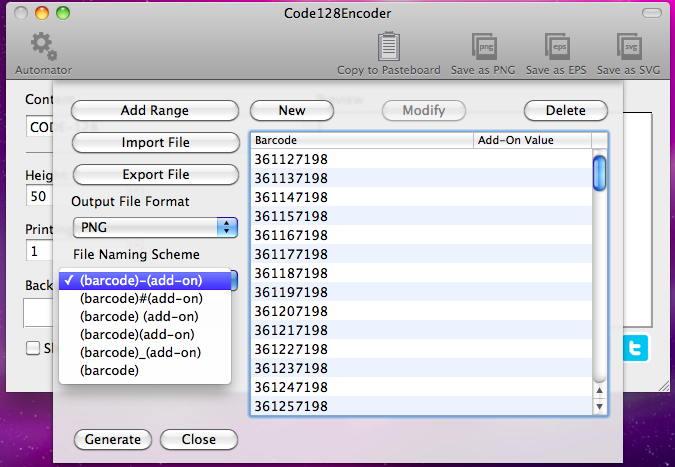 Our program exports the completed codes a few image formats – PNG, EPS and SVG. 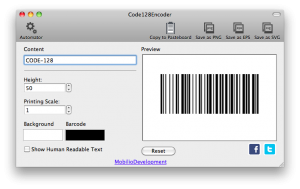 This enables our clients to customize their barcodes, if they want, with graphic editor. 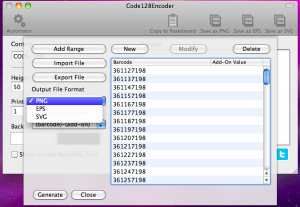 The encoder also offer the option called “Bulk generation”. It practically allows you to create many barcodes at a time. 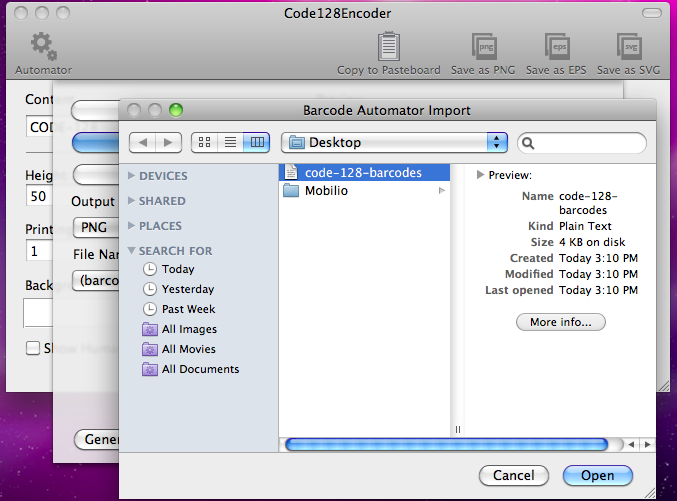 Very time-reserving, don’t you think? 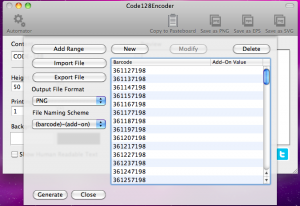 Against a humble price our Code128Encoder will become invaluable asset in your software toolbox.It is available on the Mac AppStore. 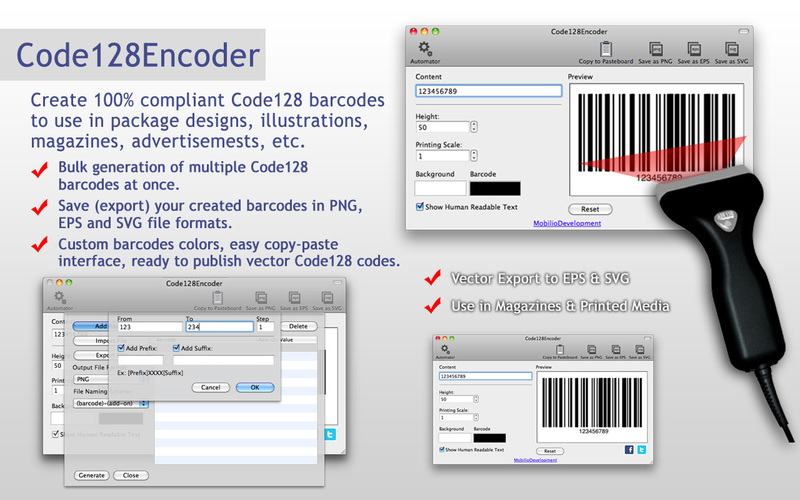 Check out our other great barcode generators : QREncoder, EANEncoder and Code39Encoder, also available on the Mac AppStore! 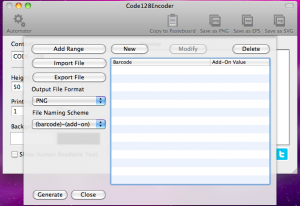 To read more about Code128 click here. 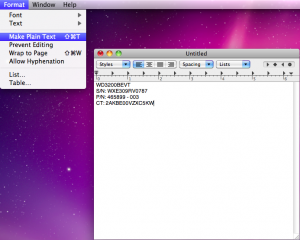 The quiet zones are approximately 10 times the narrowest bar/space. Its recommended width is 6,4mm. 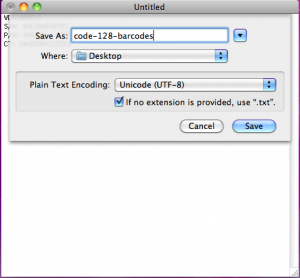 The principles of turning characters into Code 128 barcode are simple. 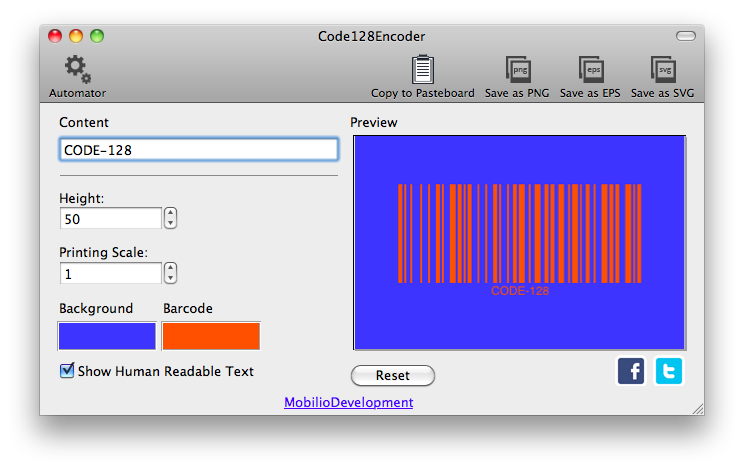 Every character is represented by three bars and three spaces. 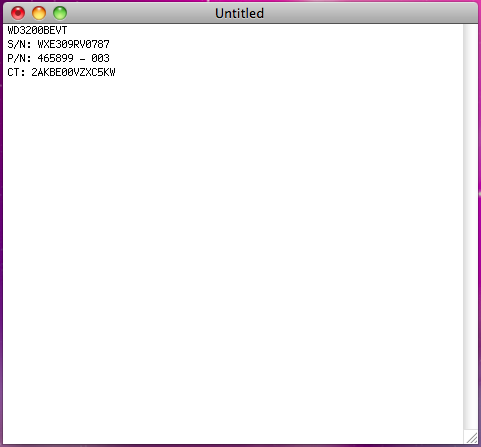 Each bar/space is one, two, three or four units wide. 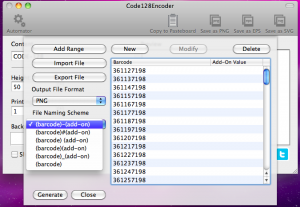 It is mandatory the sum of units of every character to be 11 (only the stop character is 13 because there is one additional bar with length 2). Nowadays the Code 128 barcode is extensively used in the industry, in the shipping and packaging businesses. It is perfect for designating all kinds of products and plays crucial role in the identification process of these products. 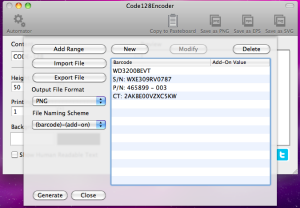 Here you can see the Code128Encoder in action.